The vote of the IMCO Committee took into account the concerns brought forward by FACE and considerably improved the proposal of the European Commission giving a clear mandate to the European Parliament in the upcoming negotiations with the Commission and the Council. The European Parliament – IMCO Committee on the Internal Market and Consumer Protection – voted today on the revision of Directive 91/477 CEE on control of the acquisition and possession of weapons, adopting the text that will be part of this fall’s negotiations in the trilogue. Compared to the original proposal of the European Commission the vote greatly improved the text by removing clearly unjustified restrictions for European hunters. FACE had firmly opposed the proposal of the European Commission rejecting its restrictive approach arguing that no impact assessment justified several of its measures. FACE efforts were successful achieving the preservation the B7 category (semi-automatic rifles resembling fully automatic weapons), as well as a regulation for the conversion of rifles, which can thereby continue to be used for civilian purposes, while sport shooters will be exempted from the magazine capacity limit. The restrictive proposals of the European Commission aiming at imposing EU-wide standard medical tests and preventing young hunters from owning a firearm were rejected. Furthermore and Internet sales and storage requirements obtained a balanced and clear definition giving Member States enough room for manoeuvre. 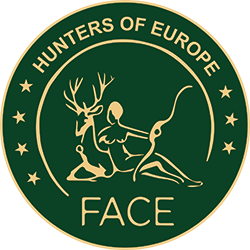 FACE participated to the discussions, bringing forward the position of European hunters aiming at ensuring that the rights of hunters were appropriately defended and the freedom of the legal firearms users upheld. Today’s result will be key in relation to future negotiations of the trilogue. FACE is committed to further improve the text as to guarantee a proportionate legal framework. Regretfully the definition of certain semi-automatic rifles remains dependent on the possibility to hold removable magazines. FACE argued that no semi-automatic firearm should be moved to the category of prohibited weapons as they do not pose a particular risk for security. Redressing this situation will be FACE’s next priority. FACE President Michl Ebner commented: “FACE successfully represented the rights of hunters dispelling any suspicion that legal firearms owners might in any way posing a threat to security. This is an important achievement giving the European Parliament a clear mandate to negotiate with the European Commission and the Council within the trilogue”.